This 7 day Desert and Rivers Botswana Safari package takes in 2 very different regions of Botswana, the dry central Kalahari and the pristine waterways and islands of the Okavango Delta Panhandle. This Desert and Rivers Safari Package shares dramatic regions and experiences on what will be one of the most fascinating safaris in Africa. The Central Kalahari holds some special secrets that will be revealed through interpretation by the original inhabitants of the area, the Bushmen. The Okavango Panhandle is the least known area of the Okavango system in Botswana. Renowned in the past for its fishing, the Panhandle is coming into its own as a safari destination where a number of activities are on offer. 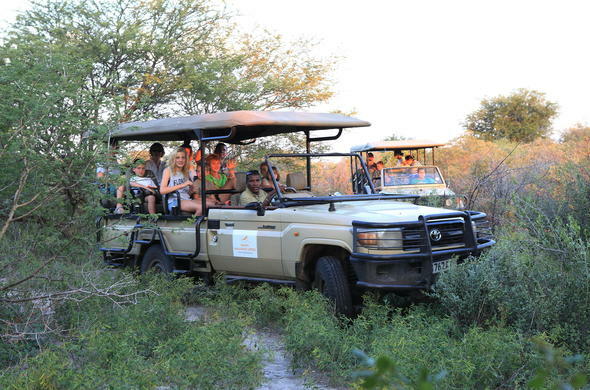 Activities on this Desert Rivers Safari Experience range from game drives to see desert adapted animals to boat cruises in search of aquatic animals. 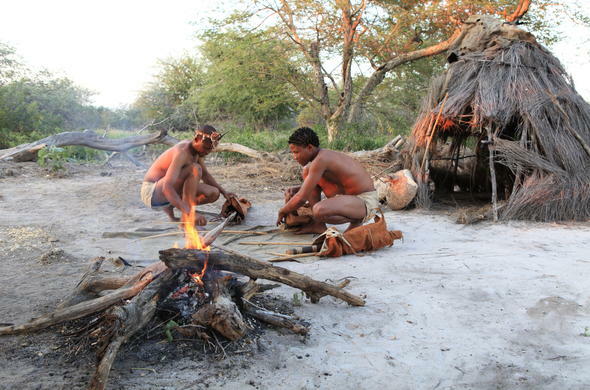 Walks led by Bushmen and experienced guides open your eyes to the wonders of the Kalahari. You will arrive in Maun on a flight from Johannesburg and catch a charter flight to a private conservancy on the edge of the Central Kalahari Game Reserve, where you will spend the first night of your Desert Rivers Safari. 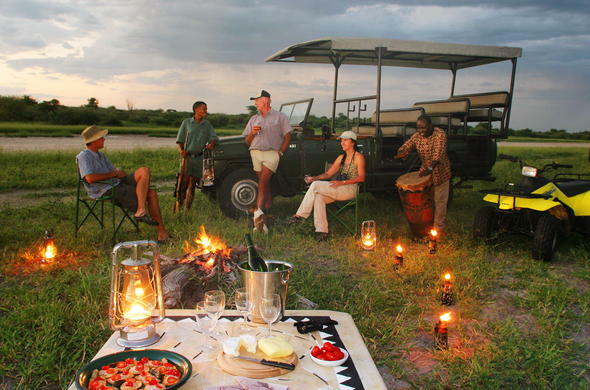 You will arrive in good time for an afternoon activity and sundowners in the bush. 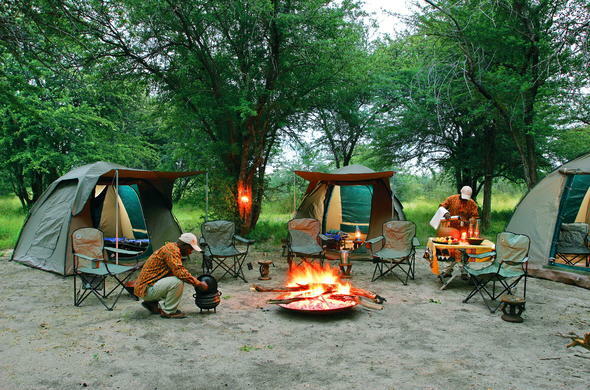 Today you will have a short activity before heading into the Central Kalahari Game Reserve for 2 nights camping at a private bush camp site. 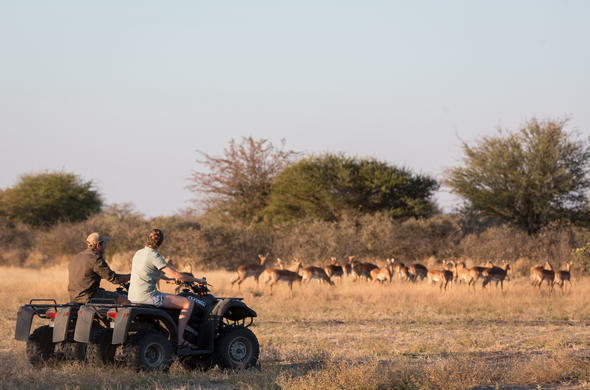 This mobile safari will allow you to experience one of the world's largest game parks and time will be spent exploring the ancient river beds and wooded dunes for the fascinating plants and wildlife the Kalahari is renowned for. Camping under the Kalahari sky is truly an incredible experience. An early start ensures more time to explore this vast wilderness where there may be an opportunity to spend time in Deception Valley, named after a pan in the area that has confused travellers over the ages with its blue water-like clay. Deception Valley is where the book 'Cry of the Kalahari' was based. The Central Kalahari is a place of dunes and valleys where life flourishes, despite the lack of surface water. Animal species have adapted to a life without drinking and these fascinating survival techniques are explained by your expert guide. The sheer size of the land and the vastness of the sky will overpower the senses. It is an early start today, with a game drive en route back to the conservancy where you will arrive around midday. There will be time for relaxation before the afternoon activity which may be an informative afternoon with the Bushmen, learning a few of their survival skills, or a ride on a quad bike. 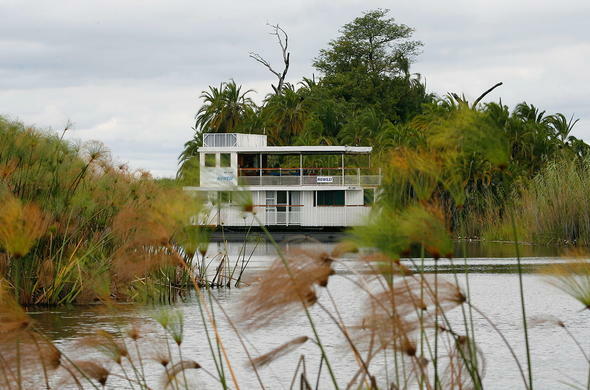 There will be time for an early activity or a lie-in before the flight to the Okavango Panhandle where you will spend 2 nights cruising on the Okavango River on a houseboat. The Panhandle is formed where the Okavango River flows into Botswana between 2 fault lines, before spilling into the Delta. A relatively unknown safari destination, the Panhandle is now coming into its own. 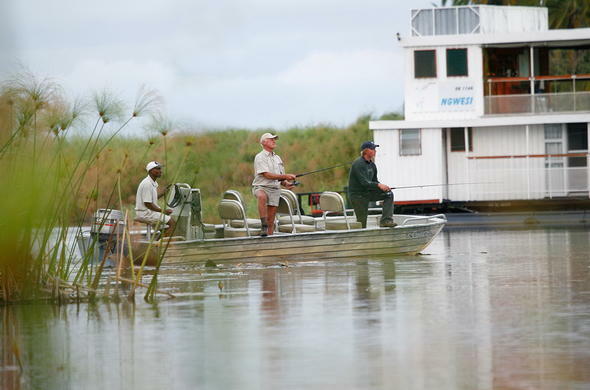 There is a range of activities to enjoy during your stay on the houseboat including birding, boating the channels, fishing and mokoro rides (canoeing). 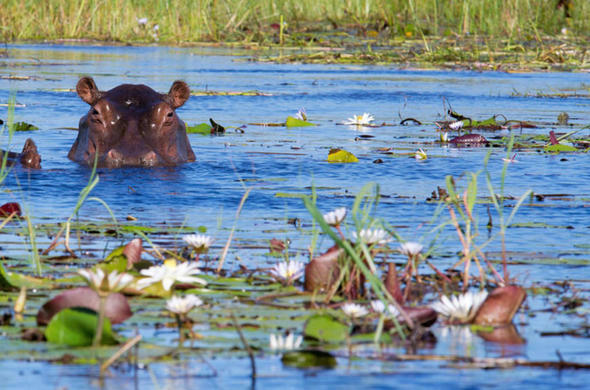 Walks on the islands to get to know the secrets of the creatures that inhabit this fascinating region of the Okavango are another favourite activity. Renowned as a birding and fishing destination the Panhandle holds many more attractions for the nature enthusiast. There may also be the opportunity to visit the legendary Tsodilo Hills, the spiritual home of the Bushmen people and Botswana's only World Heritage Site. Less than an hour's drive from the Panhandle Tsodilo Hills is truly a place that has to be experienced, with its rock art and sense of place. This is the final day of your Desert Rivers Safari Package. Today you can enjoy the peace and tranquillity of this great waterway for a few more hours before you say your goodbyes. You will be transferred to the airstrip in time to catch your flight to Maun where you connect with the onward flight to Johannesburg, after what can only be described as an African safari with a difference. This Classic Kalahari & Okavango Houseboat Package is based on a 7 day Fly-in Safari ex/to Maun and includes scheduled flights ex/to Johannesburg O.R. Tambo Airport. This trip to Botswana requires a minimum of 4 adults to run the mobile safari tour. The rate is calculated per person sharing a room. Please take note that the luggage restriction will be 12kg (26.5 pounds) per person in soft bags only for the light aircraft flight ex/to Maun.